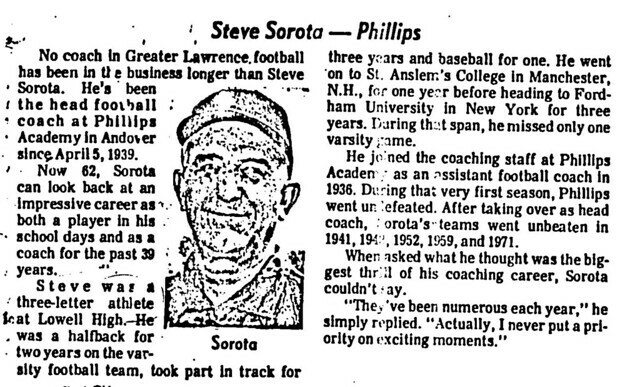 Through his efforts as both a player and a coach, Steve Sorota’s name has been etched into the athletic histories not only of Lowell High School but also of Fordham University and Phillips Andover Academy. 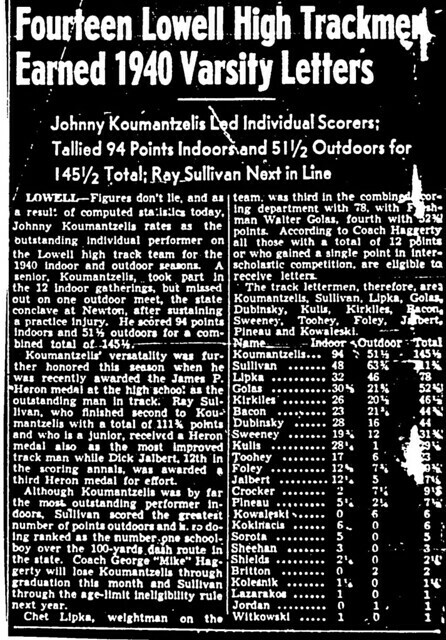 At Lowell High School Steve was one of the many three-sport athletes of his era. He starred as football running back under Coach Joe Nolan. 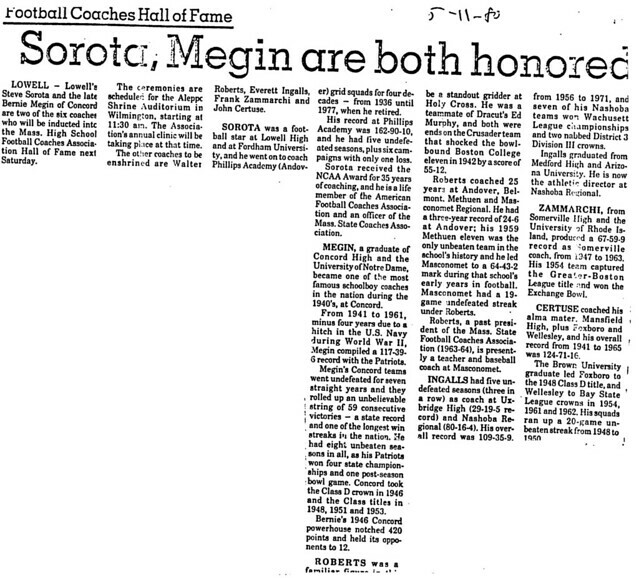 He was an outstanding weight man for the Red & Gray Track Team, establishing a state record in the discus. 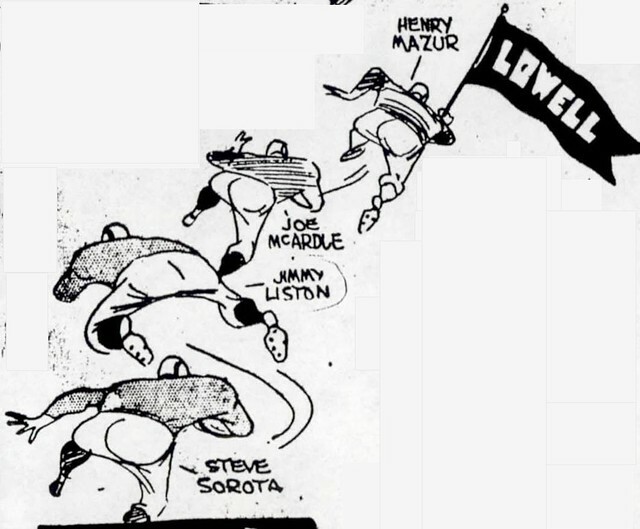 In 1931, Steve also performed on the Lowell High Baseball Team. He received the outstanding scholar athlete award at graduation in 1931. Steve went on to Fordham University to become a three-year, sixty minute per game starter for the Iron Major, Coach Frank Cavanaugh. 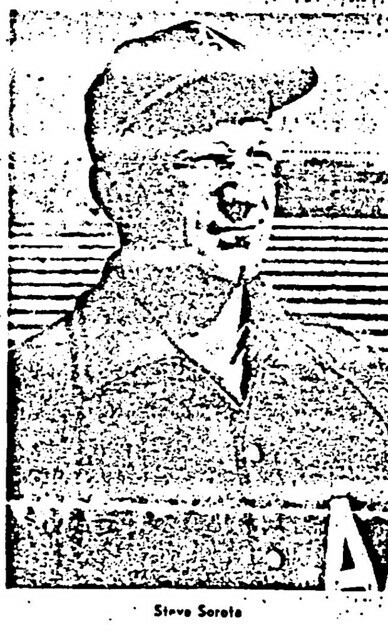 Steve was named Fordham MVP in the 1933 contest against Boston College. 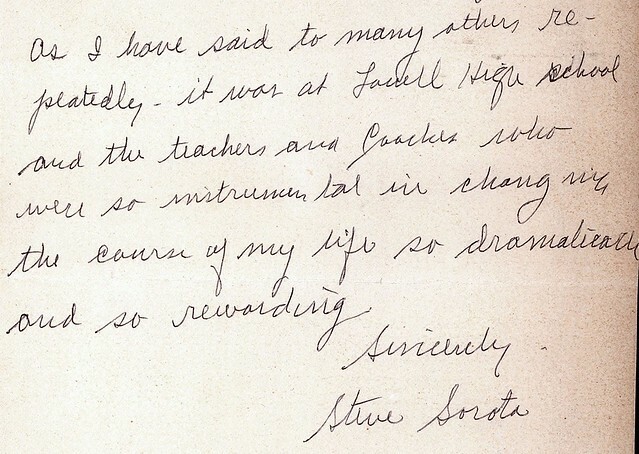 After graduation, Steve became football and track coach at Phillips Andover Academy, coaching both sports from 1936–1978. 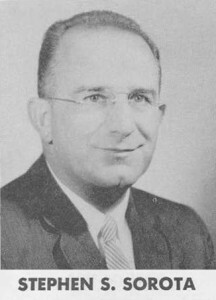 His football teams compiled an impressive 162–90–10 record, including six undefeated seasons. His track teams won numerous major championships, including the New England Prep School title. Steve was also a respected speaker at various track and football clinics nationwide throughout his career. His forty-three years of dedication to the young men of Phillips Andover earned him induction into both the Mass. State Football and Track Coaches Halls of Fame.